The Single Parent Action Network (SPAN) has today announced the launch of its new Family Health Check, an online triage system for family support workers and single parents experiencing difficulties, to help prioritise issues and signpost families to additional and relevant help. The online Family Health Check has been funded by the Department for Education as part of the Early Intervention programme that aims to support parents through a range of online and telephone services. The Family Health Check can be accessed through SPAN’s www.onespace.org.uk website. "The Health Check is not a simple search engine, it priorities issues and treats the user in an holistic way, looking at answers given from various parts of their life," confirms Simon Bates, development director, SPAN. "Although the Family Health Check is available for use by individuals, it is also designed to be incorporated into the practice of workers who support families as an assessment tool or as a way of exploring issues and to help prioritise and take steps to solve the problems identified." "From our experience of working with single parents, we know that there are several main areas to address when confronted with relationship breakdown: children and parenting being one of the most important, while training and work, income, divorce and separation, health and well-being, and community and social support are also key, due to the consequential effect on the family,” explains Bates. “The Family Health Check guides its users through a series of questions to provide an individualised signposting and advice sheets on completion addressing these main areas." "However, this is the start of the journey for many single parents," continues Bates. "Practitioners and families will be able to combine this information with other pillars of support such as a searchable tool designed to help single parents find services in their area. In addition, the One Space website also features 'Ask-the-Experts' where professionals can be contacted for advice and information including family law, child support and a relationship counselling. The site also provides housing advice from Shelter and money advice from the Citizens’ Advice Bureau. A new Virtual Learning Centre also offers a range of free courses to support families through difficulties." "Although divorce and separation is one of the most stressful experiences that children and parents can go through, we believe that the faster interventions can be made, the more chance we stand of preventing poverty and more entrenched difficulty further down the line.” concludes Bates. “For those who work directly with families, we hope that the One Space website can be used to extend the range of support that is offered and help address the key areas associated with the difficulties single parents face." 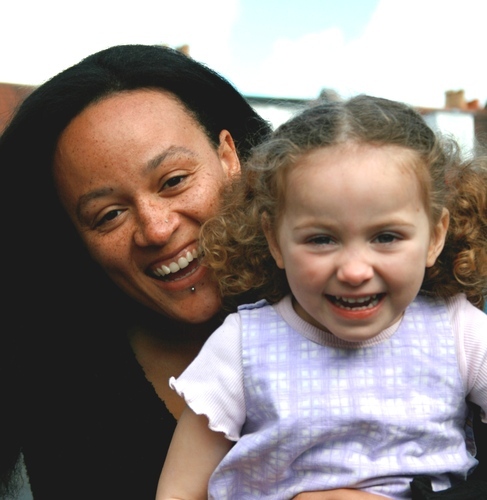 Single Parent Action Network is a uniquely diverse organisation empowering one parent families throughout the UK. SPAN gives a voice to one parent families from diverse backgrounds and cultures, often living in poverty and isolation. SPAN also supports the development of user-led one parent family groups as well as working with organisations and decision-making bodies to develop partnerships to improve policies for one parent families in the UK and internationally. See www.SPAN.org.uk SPAN runs the website www.onespace.org.uk designed to be an online resource for single parents. This press release was distributed by ResponseSource Press Release Wire on behalf of Grapevine PR in the following categories: Children & Teenagers, Women's Interest & Beauty, for more information visit https://pressreleasewire.responsesource.com/about.